Summary: International sensation Santa Montefiore presents the first book in a trilogy that follows three Irish women through the decades of the twentieth century—perfect for fans of Kate Morton and Hazel Gaynor. Last night we met to discuss THE GIRL IN THE CASTLE by Santa Montefiore. We actually had a small group (just about half of us), but it was nice to have a more intimate setting to discuss the book. Our hostess outdid herself and I'm still smiling from her selection of goodies. She served tons of homemade spring rolls (both shrimp and chicken) as well as a beautiful cheese plate. However, her desserts were unbelievable. She made a traditional Australian dessert called a lamington which is a light cake coated in chocolate and covered in coconut, and my favorite -- homemade scones with strawberry preserves and fresh clotted cream. Oh my!!!! I almost want to head over this morning to have leftovers with my coffee! Enough about the food! But honestly I think the food and visiting with friends was probably the highlight of our meeting. None of us loved THE GIRL IN THE CASTLE, although none of us hated it either. I will speak more to my feelings about the novel later when I review it, but I will try to summarize a few of our general thoughts now. Quite a few of us enjoyed the book but we did have a few issues. The ending was definitely a problem for some. 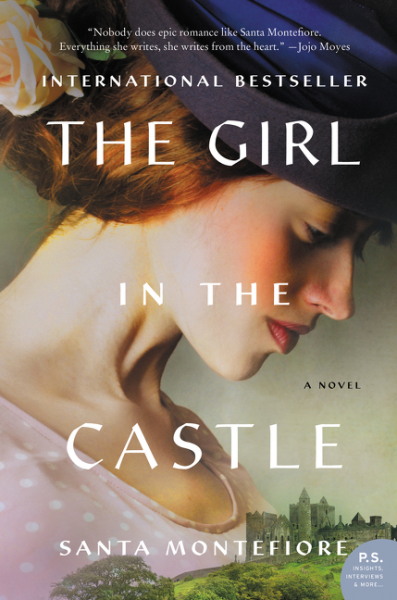 THE GIRL IN THE CASTLE is the first of a trilogy and the ending was left open-ended -- of course. However, I think a few of us wanted a bit more closure. I guess it will be up to each of us to decide whether we want to find out what happens to the characters in the next novel, and I do think a few of us will continue with the series. Another member commented on how much she enjoyed the descriptions of the locations and the characters -- they made her want to travel to Ireland! She also appreciated the historical narrative and learning more about the early moments of the IRA. Personally, I loved the details about the Irish countryside. I visited Ireland two years ago and it definitely brought back memories of the country's beauty. One thing most of us agreed on was that the novel was fairly predictable... until it wasn't. The ending did have a bit of a surprise which leads nicely into the next book; however, we felt as if the rest of the novel didn't have many surprises. In fact, there were quite a few times when we all agreed that we knew exactly what was going to happen to a few of the characters. All in all, I'd say we had a great time at our November meeting! 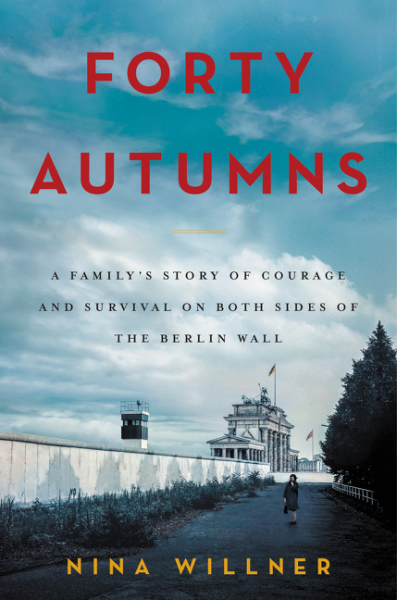 Next month, we will be reading FORTY AUTUMNS: A FAMILY'S STORY OF COURAGE AND SURVIVAL ON BOTH SIDES OF THE BERLIN WALL by Nina Willner. I am really looking forward to reading a nonfiction book. I think we all too often get into the habit of picking a fiction title, and don't get me wrong, I love fiction. However, this story sounds pretty amazing. Truth can be stranger than fiction! It's hard to believe that December is right around the corner! I am hosting our next meeting and we will have our traditional book swap. It's a fun way to get a new-to-us book (or steal one from another member), and we can celebrate another successful year as a book club! It's hard to have a good discussion when everyone feels the same way about a book. It still sounds like it was a good meeting! Sounds like a good book club meeting. I enjoyed the book, but do agree about the ending.